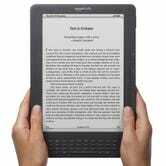 Amazon has been busily updating its Kindle lineup over the past few years, and now its flagship Fires and Paperwhite have media consumption covered. 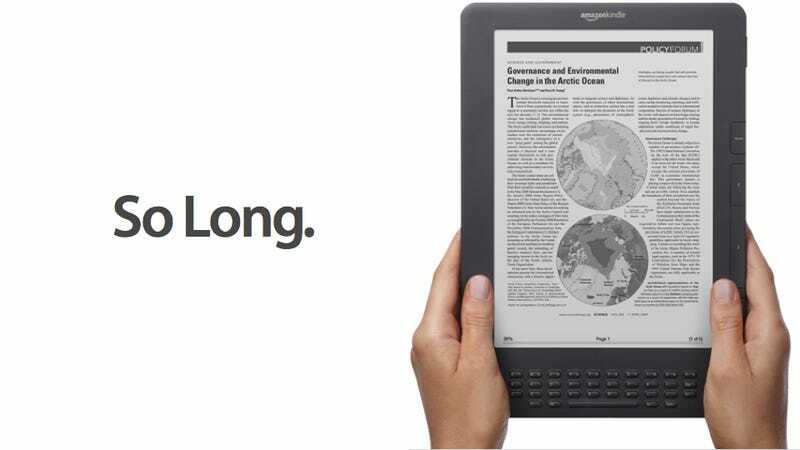 Along the way the massive Kindle DX has been ignored—and now it seems the device is being discontinued. The eBook Reader points out that the DX is no longer available for purchase from Amazon, and is now only available through third party merchants. There's also no mention of the DX coming back into stock, and the device has been removed from the Kindle family box and all the Kindle comparison tables at Amazon. In other words, the DX is dead to Amazon. It's hardly surprising: it hasn't been updated in years, the device hasn't featured in any press release in a long time, and it's recently been massively discounted—presumably in an attempt to shift remaining stock.